Bethesda Softworks' epic post-apocalyptic open-world adventure, Fallout 3, received the Game of the Year Award at the 9th annual Game Developers Choice Awards, presented at a ceremony this evening the 2009 Game Developers Conference. Bethesda also received the Best Writing award for the game. Media Molecule's imaginative user creation-centric platform game LittleBigPlanet, which was first unveiled at GDC 2007, was the recipient of the most awards of the evening, taking four awards for Best Game Design, Best Technology, Best Debut Game and Innovation Award. Other winners at the Tim Schafer-hosted event included Ubisoft's hauntingly beautiful update of the Prince of Persia franchise, which won the prize for Best Visual Arts, and Ready at Dawn's portable action-adventure, God of War: Chains of Olympus, winner of the Best Handheld Game award. EA Redwood Shores' shocking horror title, Dead Space, won the prize for Best Audio award. 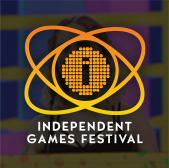 Additionally, successful independent developer 2D Boy, winner of the 2008 Independent Games Festival's Design Innovation award and Technical Experience award, snagged this year's Game Developers Choice award for Best Downloadable game for World of Goo. 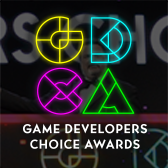 The Game Developers Choice Awards, which honor the very best games of the year, are voted on by developers and created for developers. 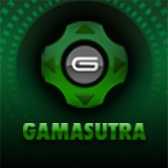 They are produced and hosted by the GDC and presented by Gamasutra.com and Game Developer Magazine, with the aid of a distinguished Advisory Committee that includes many of the world's top game creators, and each award is decided by thousands of votes from game professionals worldwide. This year, Hideo Kojima, the Corporate Officer, Executive Producer and Director of Kojima Productions and creator of the seminal Metal Gear series was presented with the Lifetime Achievement Award for his influence on the craft of game development and his twenty years of work on Metal Gear and other notable franchises. In addition, Harmonix co-founders Alex Rigopulos and Eran Egozy, co-developers of a groundbreaking decade-plus long line of music games culminating in the Rock Band franchise, received the Pioneer Award for their work; and Tommy Tallarico, co-founder of the Video Games Live concert series and founder of the Game Audio Network Guild (G.A.N.G. ), received the Ambassador Award for helping to advance the game audio community. "Over the past nine years, the Game Developers Conference has become the premiere video game award show because it gives voice to those who understand games better than anyone; the people who make them," said Meggan Scavio, content director of the Game Developers Conference. "The games being recognized here are virtuoso efforts that have truly advanced the state of video games. Our congratulations to all the talented and hardworking teams that put so much of themselves into their art." 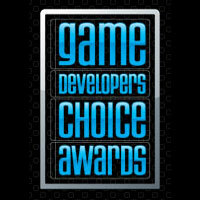 For more information about the awards and all the recipients, please visit the official Game Developers Choice website.